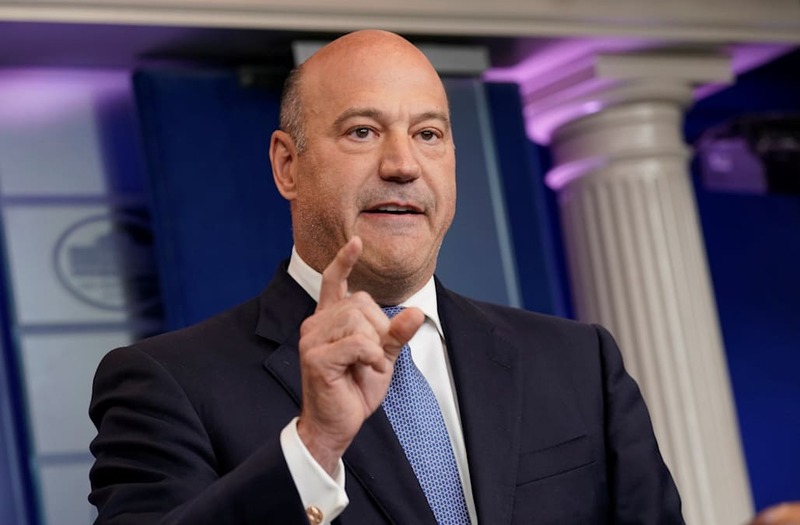 Gary Cohn is reportedly set to leave the Trump administration as soon as the Republican attempt to reform the tax code is concluded. GOP leaders are hoping to get tax reform done by the end of 2017. Cohn is also out of the running to be the next chairman of the Federal Reserve. Gary Cohn, director of the National Economic Council and President Donald Trump's top economic advisor, is eyeing a White House exit as soon as tax reform is done, according to a report. Bloomberg reported Wednesday that Cohn, the former Chief Operating Officer at Goldman Sachs, will likely to leave the Trump administration following the Republican tax reform push. Trump and Republican leaders have said they want to pass a tax reform bill by the end of 2017. According to Bloomberg, Trump is frustrated with the speed of the tax plan. As it stands now, a bill has not been made public and there are still numerous hurdles for an overhaul would need to overcome. Cohn and Trump's relationship has been on the rocks ever since the former banker publicly criticized the president for his response to the white nationalist violence in Charlottesville, Virginia. Up until that point, Cohn was considered the frontrunner to replace Janet Yellen atop the Fed. Bloomberg now says Trump has ruled him out for the job. An announcement of the next Fed chair is expected within the next week.